A contempt petition has been filed in the Supreme Court against Advocate Prashant Bhushan and news channels, Aaj Tak and Times Now for allegedly making reckless imputations against Supreme Court judges and the judiciary as a whole. The petition has been filed by five Lucknow-based Advocates—Ranjana Agnihotri, Bandana Kumar, Durgesh Kumar Tiwari, Pankaj Kumar Verma, and Ashutosh Mishra. 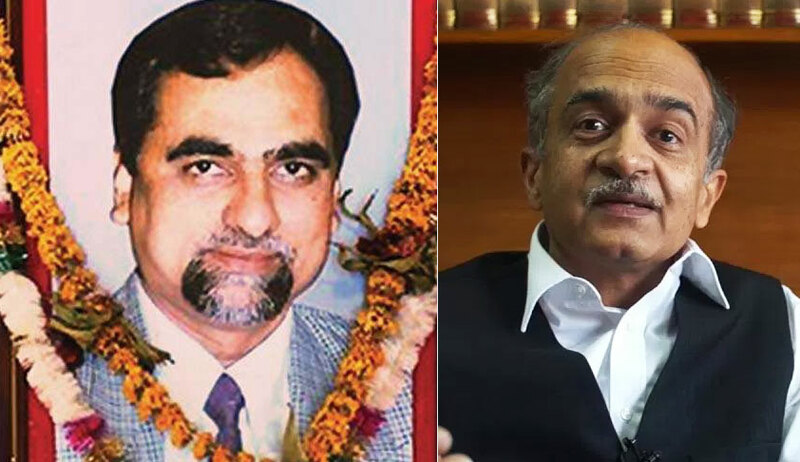 They take objection to certain comments made by Mr. Bhushan after the pronouncement of the judgments in the Sahara Birla Payoffs case and Judge Loya case. Mr. Bhushan, on behalf of Common Cause, had filed a petition seeking SIT probe into the matter of alleged payoffs by Birla Sahara Groups to the then Gujarat Chief Minister, Narendra Modi. The petition was however dismissed, with the court observing that “voluminous and detailed documents of payoffs” recovered by the authorities through raids are random loose sheets of paper, on the basis of which high public functionaries occupying important offices cannot be subjected to investigation. The petitioners now point out that subsequent to the dismissal, Mr. Bhushan had made a statement to the Press, saying that the judgment “will go down as one of the worst judgment in the history” and that this was a “black day” in the history of the Supreme Court. The petitioners have also placed reliance on Mr. Bhushan’s reaction to the supreme court judgment in case of Tehseen Poonawalla v. Union of India denying probe into the alleged foul play in CBI Special Judge BH Loya’s death. They assert that post the dismissal of the case, Mr. Bhushan “with a view to scandalize the judges and the institution of judiciary addressed the press in the lawns of the Supreme Court”. His statements were then broadcast throughout the day by Television News Channels Aaj Tak and Times Now, it states. Additionally, the petition also seeks formulation of necessary guidelines for Advocates to regulate the statements made by them before or after any verdict or judicial proceeding.